There’s something special about the first post in a blog. It’s like it smells of fresh linen, sunshine and possibility. Hi everybody! Please say hello back! In Silicon Valley – that changing cumulus of towns between two saint-named cities with airports – founder lore is a big deal. Mostly, it consists stories of disruptors and hacker rebels swimming against the tide to change the world, their extraordinary feats fueled by ramen noodles and dreams. These stories are thrilling. They leave us starry eyed and inspired. They work. But the “Founder’s Story” is also neatly packaged, condensed and polished to a sheen through countless re-tellings, hundreds of funding pitches, and recruiting copy. With that, our first disclaimer: we don’t have a founder’s story. And it’s likely that we won’t, because Citymatter is not about the superhero narrative. The team is not superhuman. No one finished a master’s degree at fifteen. We are not smarter than you, nor are we ‘city experts’. We’re just people who live in cities. People who have moved around, who have been the new not-so-young-kids on the block and want to know about our communities. People who are looking for a better way to be part of our cities, to get information that is both entertaining and useful in planning our day, to connect with the people around us. Citymatter emerged from all of these needs, with one added ingredient: data. But assuming that what’s reported is unadulterated when collected, data is our reliable eyes and ears. It counts instances, dollars, crimes by type and region without inherent bias, and without ever leaving its watchpost. Open government data has become a thing in the U.S., where this project is based. And lots of cities are collecting and publishing lots of data about lots of things – including crime, demographics, utilities, and traffic. Some of these datasets are ready to use. But a lot of data are disorganized, infrequently updated, or difficult to find. Let’s be real: unless you’re a journalist, researcher, librarian, auditor, part of government, or signed up for some sort of hackathon, it’s unlikely that you get your news by scrolling through databases. People likely to use. Based on the specificity of the categories, citizens aren’t really the bulk of their users. Local news budgets are shrinking, and so is their staff. But local media is also keeping watch over important things like crime and city hall – the fourth estate and whatnot. For the most part, having full time data staff is not an option. Our media habits in general. Studies show media habits for U.S. readers are increasingly polarized along political lines. we’re increasingly exposed to media that shares our opinions. Media with a certain bias or political bent , stuff that gels well with us. [source]. Which means that at any point, any source of news is considered by dissenters to be less than trustworthy. You: road closures, energy usage, crime, water, schools… they’re part of your life. And the information you didn’t get in time to avoid some road would have been appreciated, amirite? All of these things are related, and we think freer flow of information can help advance all of them. More transparency in government, access to better reporting tools, optimizing your morning commute, lowering your energy bill, and a conversation starter for your entire neighborhood – we’re confident that data lies at the center of the solution. But data is only half the equation. Because data still looks boring, and like a lot of work, and quite frankly, figuring out how it connects to or affects people is not something they want to spend their time on. So while data is our source, it is not the content we’ll deliver. We intend to leave the ugly pie charts to work meetings. And of course we know that dressing dry, boring numbers in pretty drawings doesn’t help much, either. So here’s our commitment: we’ll deliver information that’s useful and relevant to you, ensure it’s attractive and entertaining, and provide context through other media and special reports. Since we’re definitely not superheroes, we won’t bother with illusions. Our aim is to connect you, the city dweller, with the place you call home. We’ll bring the info, but only you – the collective you – can make your cities better, safer, cleaner, happier and more human places to live. We hope you’ll come along for the ride. I'm a marketer, strategist, and editor with a penchant for data and a passion for storytelling. Co-founder and editor of Gopher Illustrated magazine [gopherillustrated.org]. Partner at design and communications firm In-House International [weareinhouse.com]. Former philosopher, eternal magazine lover, serial entrepreneur, and houseplant killer. * Venezuelan born, currently based in SF-Bay Area. I'd love to hear your story. *I'm working on this, don't worry! 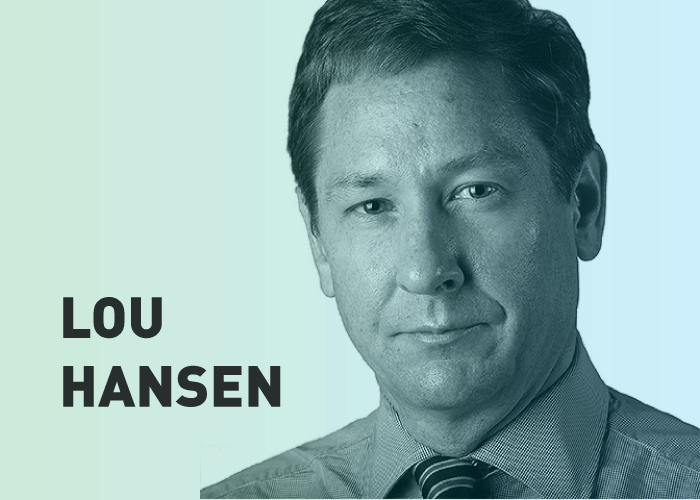 Local News Series, Part 1: Lou Hansen’s Recurring Conversation. What do we want from city life? We want to provide real access you to the city that surrounds you, to engage you as a citizen and give you a way to connect with your community. To do this we find, clean, process, and visualize data that matters to you, and curate related news in a single place, delivered to your device. So you can wake up to useful, relevant, and attractive information to help you navigate your city. We're not a government agency, current or aspiring government official, a fundraising platform, or an enterprise platform. We're still very much working on getting all our sources together - and anticipate listing them in our Resources page very soon. But, broadly speaking, gather data from government and public sources, as well as raw data from businesses to provide as clear and reliable a picture as we can provide. Ain't no mountain high enough, baby. 650 Serra Mall, Stanford, CA. 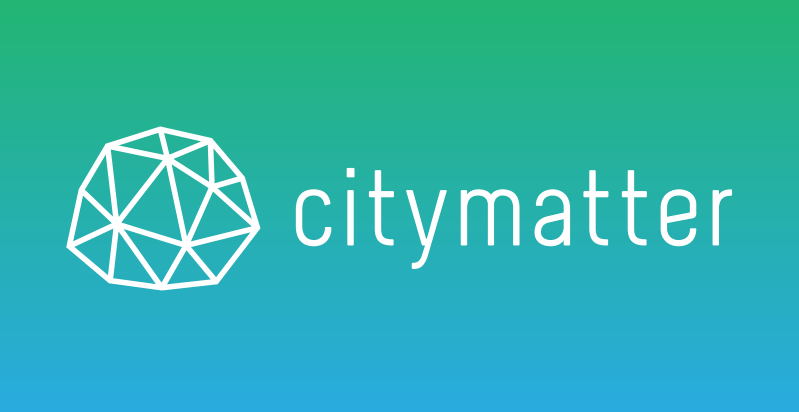 CityMatter hopes to become a one-stop source for data about the performance of our cities. We want to help move the conversation about the future of our cities forward; and build a simple, user-friendly and embeddable platform for city data and news; featuring information from government sources, private API's, social media and your local news organizations. Skip the pundits and the spin, and learn about your city using facts that you can use in your everyday life. Please subscribe to our mailing list and we’ll update you on our beta results and launch, and give you early access to our app.